Have you already tried to use Facebook for business? Facebook is the world’s largest social media site and it’s used by almost 1 billion people. If you want to take advantage of the marketing potential of Facebook for your business, then the first step is to create a business page. A Facebook business page or “fan page” is a relatively new platform where you can constantly interact with your customers. You can also use the business page to acquire more potential customers and expand your database. The process of creating a business page is simple enough, but there are certain steps that you need to take into consideration if you want to create a successful page. How do we start to use Facebook for business? Gather your basic business information before starting a page. Choose the name of the page, prepare you profile picture and your cover photo, while keeping in mind that you are building your brand. When you have the information ready, you can start creating a page. Click on “create page” and choose the category for your business. Then enter your business page name. The next step is uploading your profile picture and cover image. Also enter your contact information and business description on the “About” Page. Remember to put your website on the description page and make sure to complete your profile thoroughly. However, you can add additional information later on, if necessary. The next step in how to use Facebook for business after setting up your page is to customize your profile. You can add apps or custom tabs that are needed to market your business. You can build out these custom tabs that contain information from and about your website and/or blog, thereby keeping your fans inside Facebook rather than redirecting them to external links outside of Facebook, which might not appeal to them. You can also add an “Events” tab where all upcoming events are posted, or a “Video” tab where all your videos can be seen. These are great ways of generating traffic inside Facebook while still giving your fans the option to access to your external sites and content, if they should so desire to visit them. Once your page is complete, the next crucial step to use Facebook for business properly is to gather fans and interact with them. You can increase your fanbase by hosting contests or raffles, and providing the winners with cool, relevant prizes. These can be held monthly or quarterly. Also, make it a habit to post engaging posts on your wall. You can post questions and/or polls, or anything that you think will seek out their opinion and get them to comment on and share your content with all their friends. Interaction with the fans is the most important step in using Facebook for business because it creates an element of “trust”. It is also a great way to extend your reach to their network, and generate even more fans. The use of Facebook for business does not end after having set up your fan page. It goes beyond that, to continuously interacting with your fans and engaging them on your page. Remember that your fans are either current customers or potential customers. It’s best to create a long-lasting relationship with as many of them as possible to make it easier for them to become future buyers of your products and/or services. It’s not hard to use Facebook for business, but it definitely takes time and dedication to succeed with it. For a more detailed look into how to use Facebook for business, you may want to check out the Timeline Blueprint. 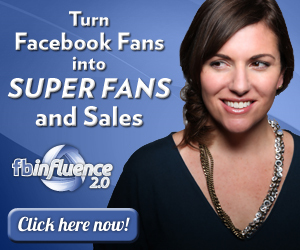 It’s a really efficient way to jump start your business on Facebook.